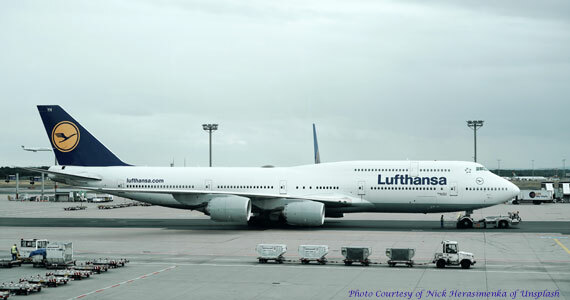 This week’s first story is from our friends at Lufthansa Systems and so we feature a Lufthansa rectangle (our ride home from Germany) and we liked the picture! We also had a great visit with Lufthansa Systems and the new management is really focusing the directions of their products and services. You may well be familiar with Lufthansa Systems (LS) and their four (4) primary product offerings: 1. BoardConnect , which offers a modular, scalable design to the airlines and their passengers; 2. BoardConnect Plus has all the features of BoardConnect with the added benefit of enabling passengers to enter the web via a unique passenger portal through a partnership with Inmarsat GX Aviation; 3. BoardConnect Portable – a simpler, more flexible, all-in-one solution that is ideal for low-cost operators; 4. and BoardConnect Portable/Link – the latest addition to the BoardConnect platform, and as the name indicates, is a portable IFE product with a connectivity solution that utilizes Iridium NEXT. Iridium Next is a worldwide service that has several small satellites with sufficient bandwidth for all messaging and payment services. Lufthansa Systems told us that BoardConnect Portable is the only portable system without the need for disruptive battery handling and does not require extensive retrofitting of the aircraft. Lufthansa Systems also announced that Virgin Australia Regional Airlines, one of the first customers for BoardConnect Portable, has been using the product on their sixteen aircraft flying routes from Western Australia. Virgin Australia Airlines was one of the first BoardConnect customers back in 2013 and has the system available on more than 100 aircraft flying today. In a collaborative effort with Gogo (satellite provider), Virgin Australia is rolling out inflight Wi-Fi based on the BoardConnect Plus product. This variant of the BoardConnect product suite enables the integration of any connectivity solution selected by the airline customer. The airline will also be migrating to BoardConnect 5.0 by year’s end. This latest software version features a fresh design with a new user interface and an open platform architecture based on HTML5 compared to the native app approach of earlier versions. Turkish Technic and Havelsan will carry out the production of in-flight entertainment systems. This Joint Venture Company will perform activities in the field of in-flight entertainment and internet service provider systems and other software used in civil aviation including design, production, maintenance, repair, marketing, sales and after-sales services in land, sea, rail systems and air platforms. The Company is aiming to provide line-fit in-flight entertainment systems as approved supplier for both Turkish Airlines’ new generation aircraft to be delivered between 2022-2023 and other domestic and international airlines’ aircraft. In-flight entertainment systems which play a very important role especially for long haul flights and foster customer satisfaction, are planning to be produced by this company with high technology and competitive prices. At the first stage, the company, to be operational at Turkish Technics’ Sabiha Gökçen International Airport facilities in 2018, is planning to commercialize its products for domestic airline operators and other operators within its close region. A350 XWB: The Ultra Long Range version of the A350 XWB, MSN 216, has successfully completed its first flight. The latest variant of the best-selling A350 XWB Family will be able to fly further than any other commercial airliner and will enter service with launch operator Singapore Airlines in second half 2018. The aircraft powered by Rolls-Royce Trent XWB engines has embarked on a short flight test program to certify the changes over the standard A350-900 that will extend its range capability to 9,700 nautical miles. These changes include a modified fuel system that increases fuel carrying capacity by 24,000 liters, without the need for additional fuel tanks. The test phase will also measure enhanced performance from aerodynamic improvements, including extended winglets. Rolls Royce: Airbus and Rolls-Royce have signed a collaboration agreement for the integration of Rolls-Royce’s UltraFan demonstrator for flight testing. The integration solutions demonstration will be co-funded by Clean Sky 2, the European Union research program focused on developing technology to reduce emissions. UltraFan is a scalable jet engine design suitable for widebody or single-aisle aircraft and offers a 25 percent fuel efficiency improvement over the first-generation of Rolls-Royce Trent engine. Airbus’ integration solutions will play an important part in achieving the overall fuel efficiency improvement of higher bypass ratio engines such as UltraFan, through innovative architecture and associated technologies. UltraFan features a new engine core architecture and lean-burn combustion system which will contribute to improved fuel burn efficiency and lower emissions, along with a carbon titanium fan blade system and composite casing which reduce weight. The engine also introduces a geared design to deliver efficient power at high-bypass ratios. For Airbus, the project will enable it to fully integrate the overall powerplant system – composed of engine, pylon and nacelle – onto future long-range aircraft products, as well as facilitating scalability for future short-range aircraft. It will also build on Airbus’ expertise in advanced manufacturing technologies, such as high-deposition-rate additive manufacture, welded assembly and high production rate thermoplastics. Lufthansa Group: Boeing and the Lufthansa Group completed an order for four more 777 airplanes, valued at $1.4 billion at list prices. The purchase is part of the aviation company’s plans to modernize its fleet with newer widebody airplanes. The order also provides two more 777 Freighters for Lufthansa Cargo, one of the world’s leading air freight carriers that serves nearly 300 destinations. The 777-300ER can seat up to 386 passengers in a three-class configuration and has a maximum range of 7,930 nautical miles (14,685 km). The 777 Freighter, the industry’s largest and longest range twin-engine cargo jet, can fly 4,900 nautical miles (9,070 kilometers) with a payload of 102 metric tonnes (102,000 kg). Ryanair: Boeing and European low-cost carrier Ryanair announced on recently that they finalized an order for 25 additional high-capacity 737 MAX 8 airplanes. The $3 billion order, at current list prices, was previously listed as unidentified on Boeing’s Orders & Deliveries website. Ryanair launched the high-capacity 737 MAX 8 in late 2014 with an order for 100 airplanes, followed by an additional order for 10 airplanes at the 2017 Paris Air Show. The airplane will provide Ryanair with 197 seats, increasing revenue potential and delivering up to 14 percent lower fuel consumption than today’s Next-Generation 737s. Europe’s leading low-cost carrier will be the first airline to operate the 737 MAX 200, a variant based on the successful 737 MAX 8 that can accommodate up to 200 seats, which will provide carriers with up to 11 more seats of potential revenue and up to 5 percent lower operating costs than the 737 MAX 8. Gulf Air: Boeing and Gulf Air celebrated the delivery of the first 787 Dreamliner for the national carrier of the Kingdom of Bahrain. The airplane also debuts the carrier’s new livery. Gulf Air is set to take delivery of four more Dreamliners this year. The airline plans to introduce the 787 on its twice-daily service between Bahrain and London Heathrow before deploying the long-range efficient jet on other routes. Perhaps probiotics can help jet-lag? Want to know more? Read this article.